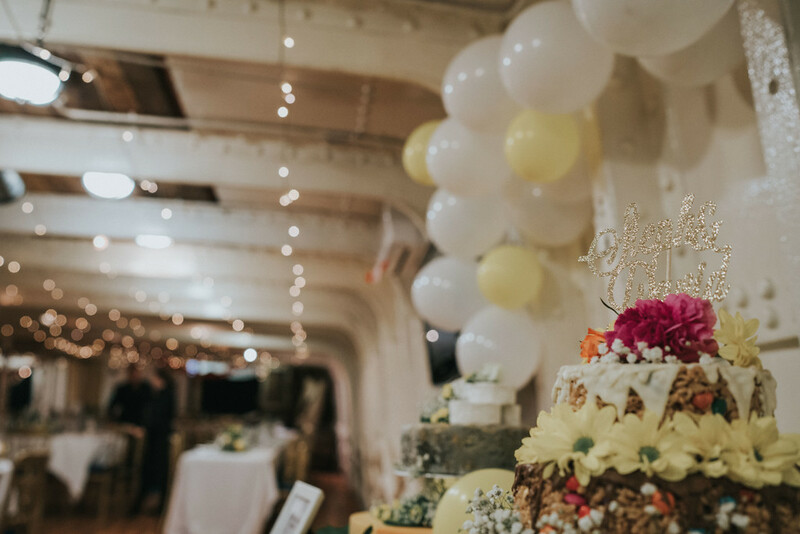 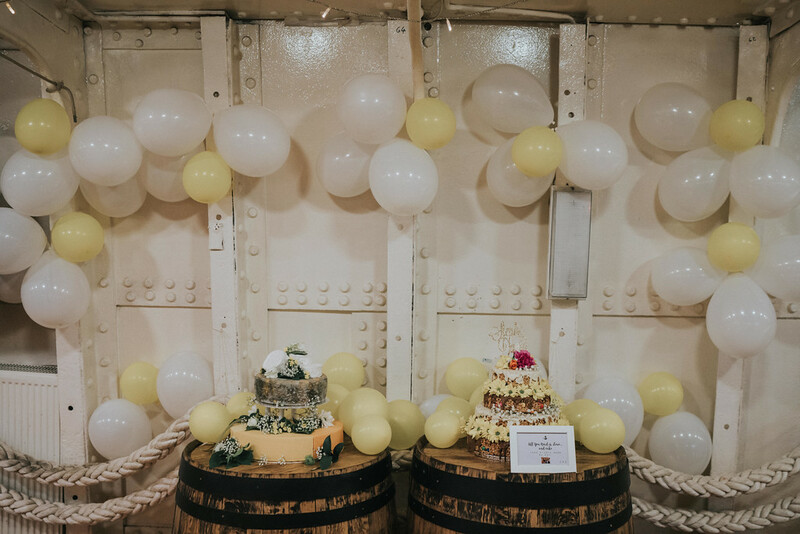 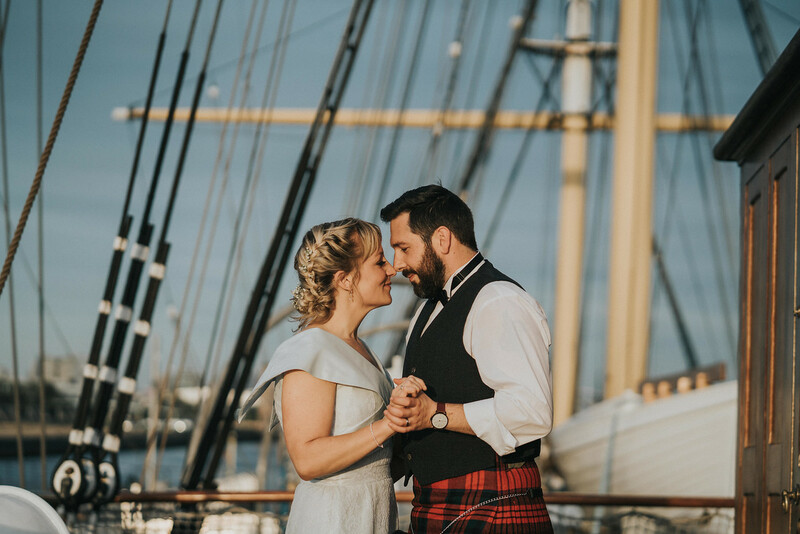 A black-tie wedding reception featuring travel details and pops of yellow on The Tall Ship, Glasgow. 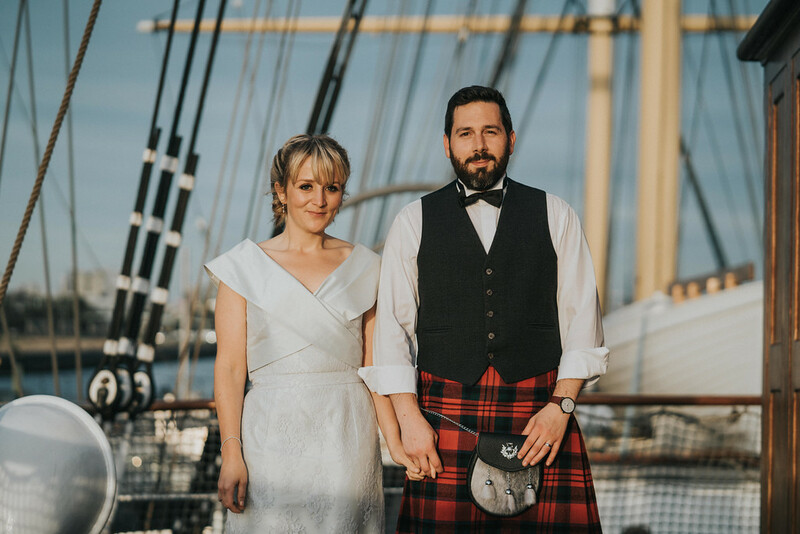 Steph + David had their wedding reception on The Tall Ship, Glasgow, following their legal nuptials a short time before, in Lisbon, Portugal. 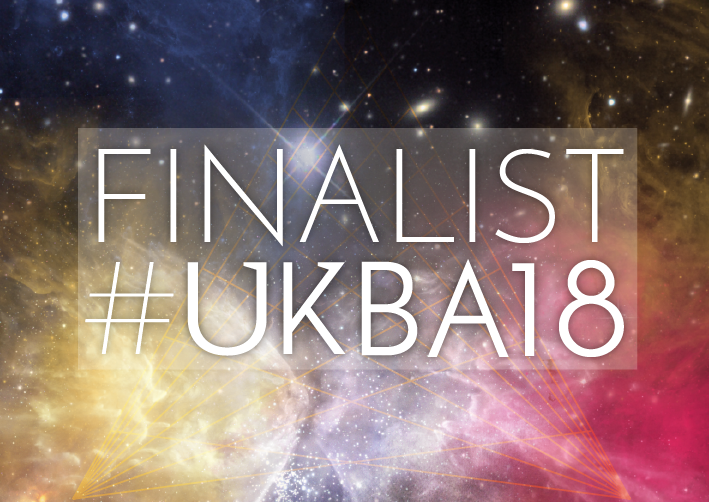 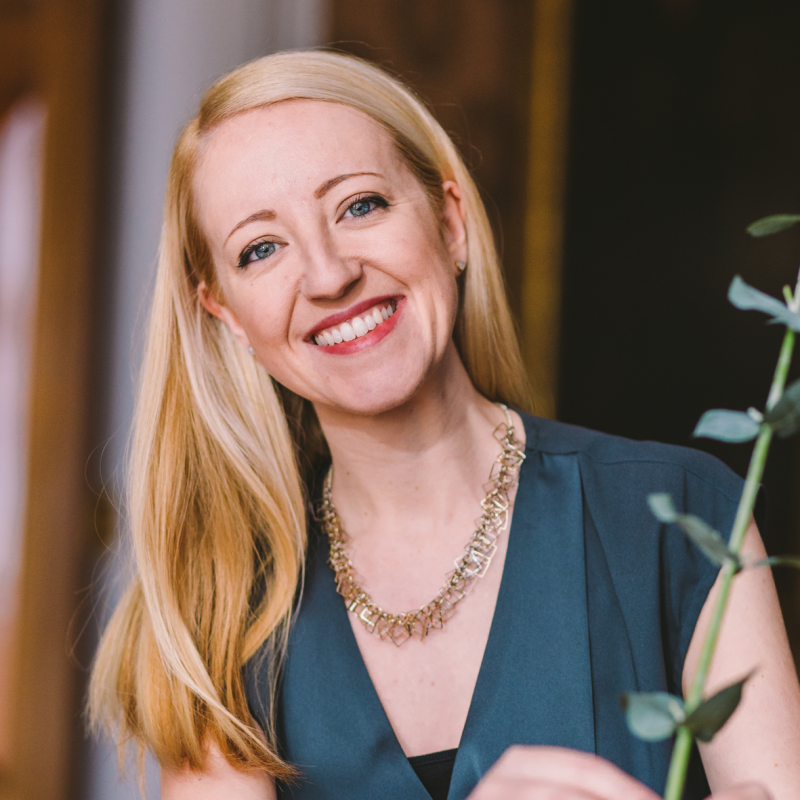 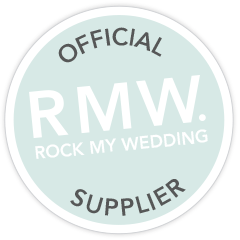 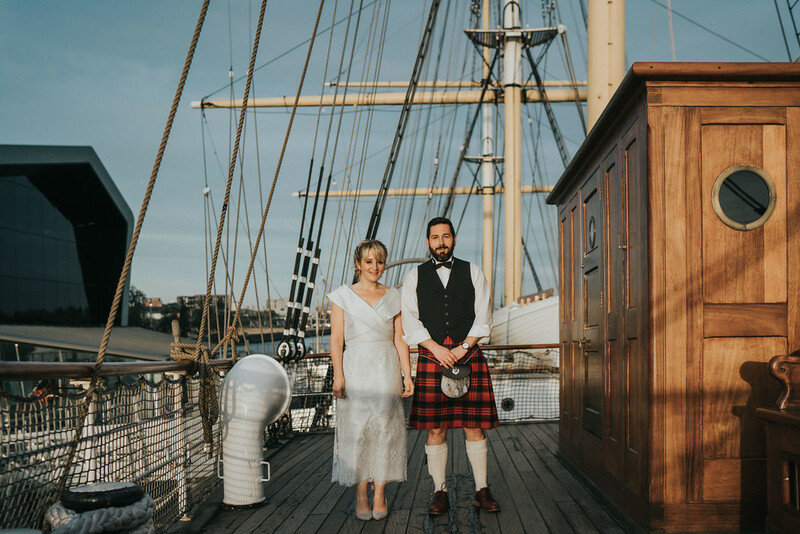 They wanted this to be their party, and so they planned lots of fun food, a live band, a gin bar and a boat party in their home town of Glasgow. 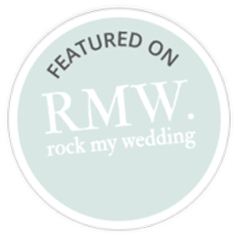 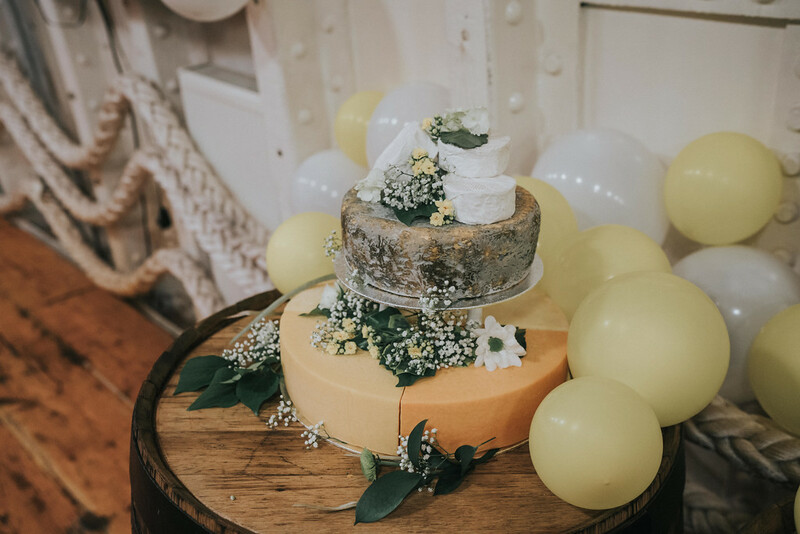 Devine Bride consulted during the planning process, helped with the final planning details and did venue dressing, balloons, and styling on the day. 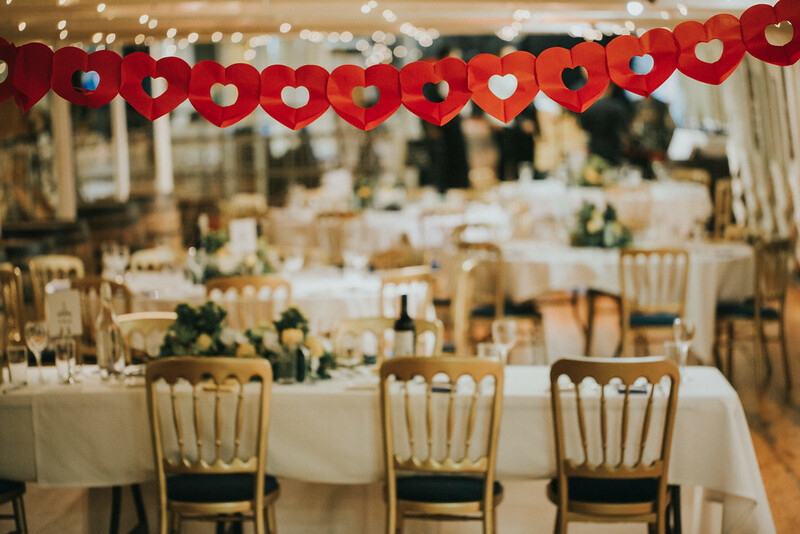 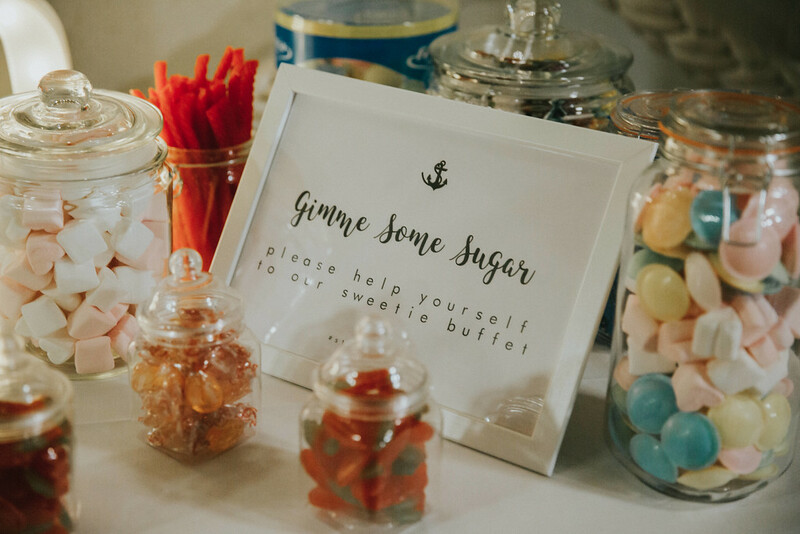 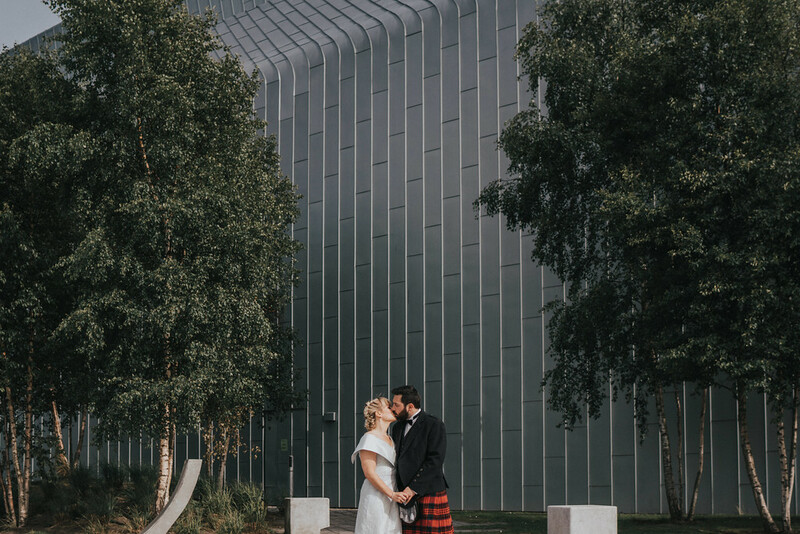 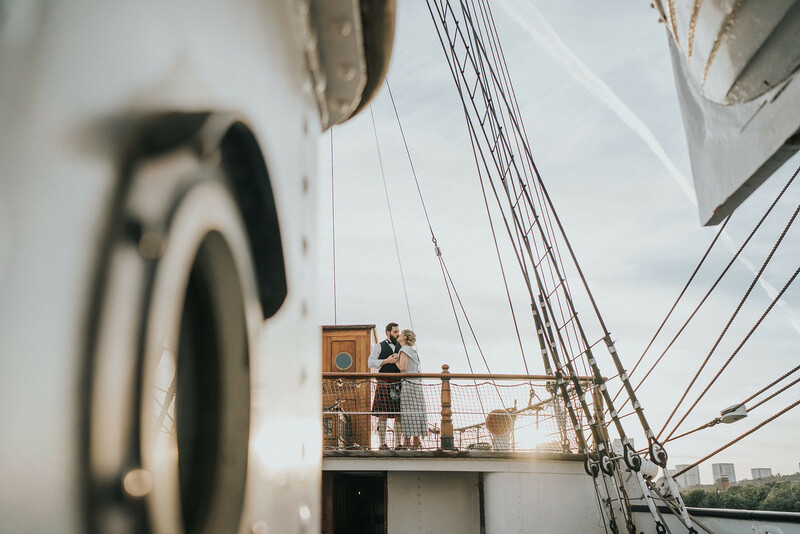 The Tall Ship is actually a museum in the day time, so Team Devine Bride had a very short window to set up the couple’s soft décor and coordinate some of the remaining supplier deliveries in a joint effort with En Croute Catering. 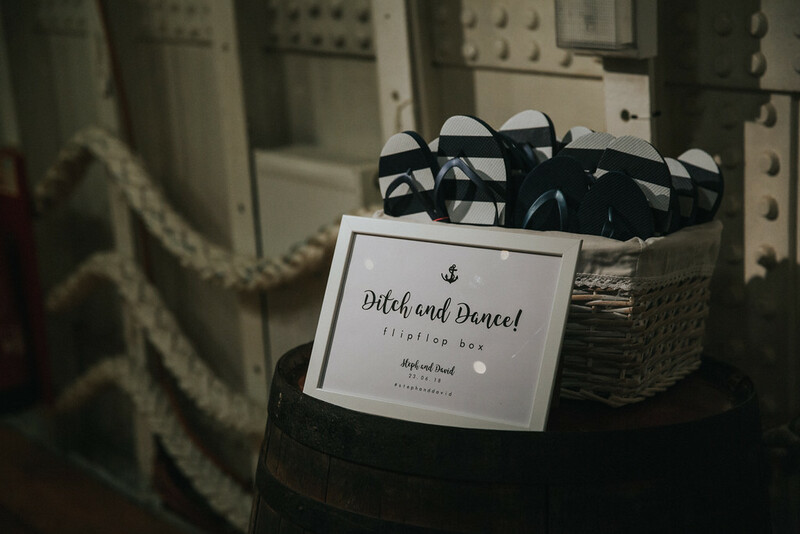 The wedding had a subtle nautical theme, and we made the most out of the on-board barrels for displaying items like the cake, the cheese, and the ditch and dance flip flop box. 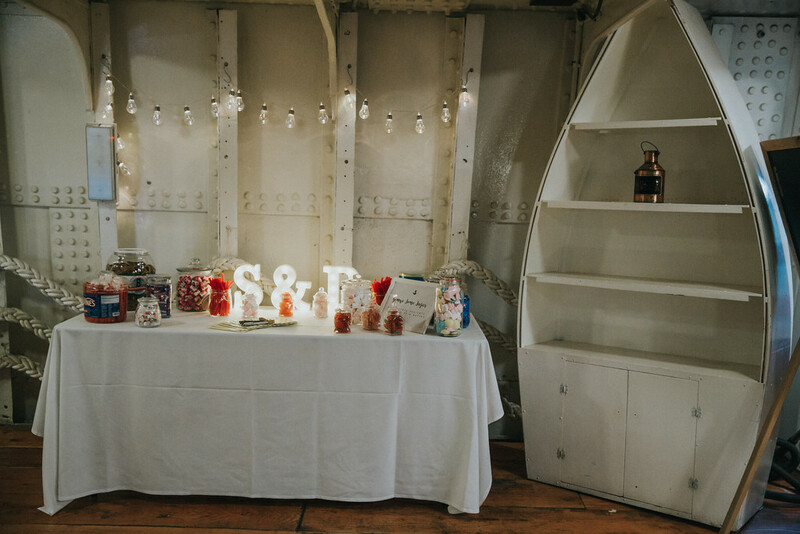 Other areas for the photobooth and pick + mix were made into feature walls with mini festoon and fairy lights. 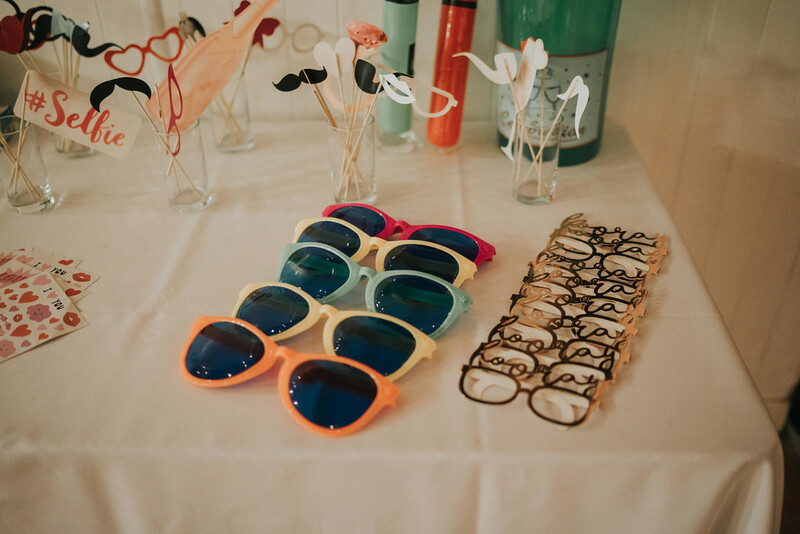 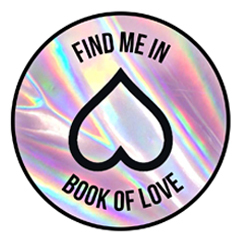 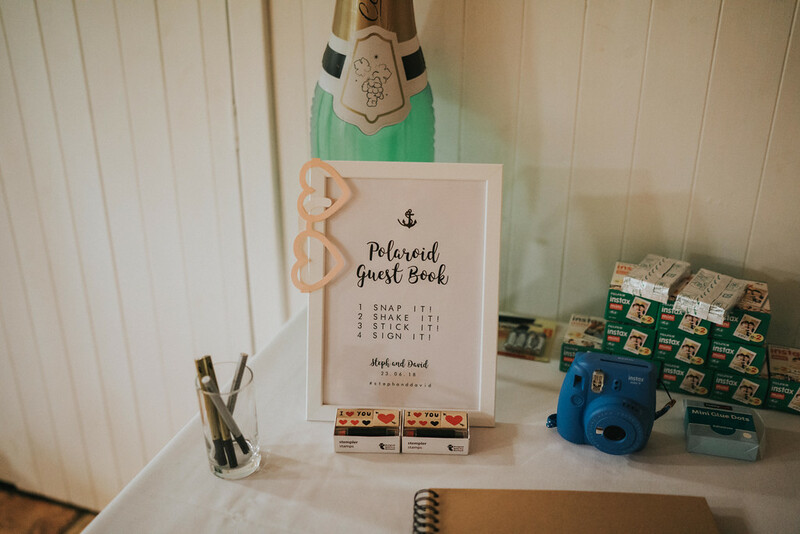 The couple had a DIY instax photobooth that was also for their polaroid guest book – which went down a treat on the night. 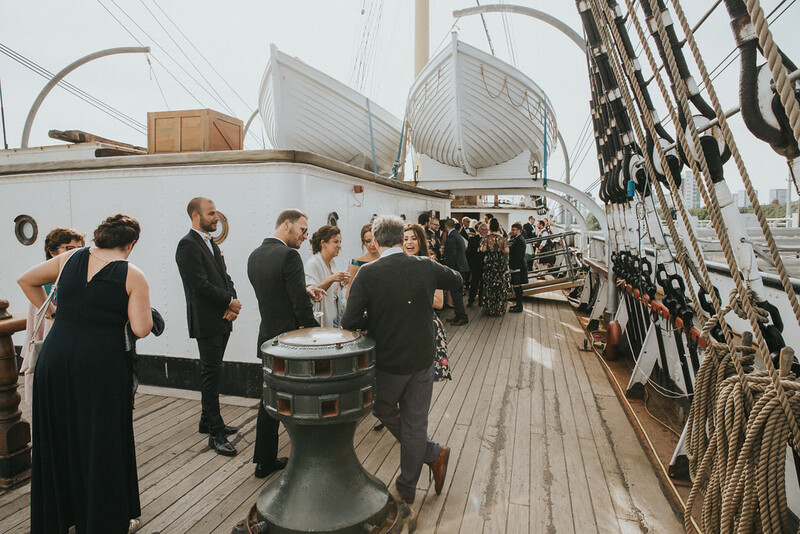 The evening reception started with a champagne reception on the top deck, then guests were invited downstairs for speeches, dinner and dancing. 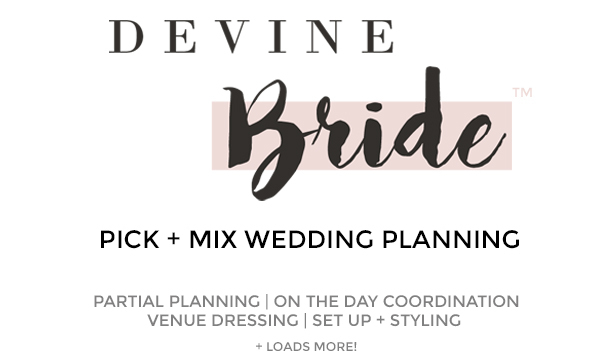 Planning consultation, venue dressing, balloons, and styling by Devine Bride. 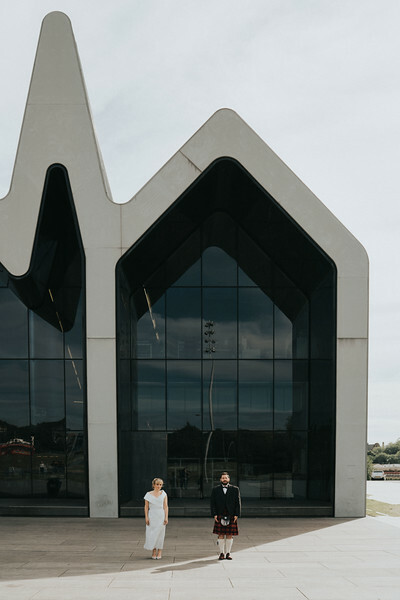 Photos kindly from Dave Fallon Photography.